Sunday, April 18, while visiting the small town of Loppiano, 350 visitors from all the Italian zones went to the Polo to know more about the Economy of Communion project. "Communion and Fraternity in Work" was the title of the day. In four different areas of the building, guests were able to get to know the working experience there through the accounts of some entrepreneurs and employees, concrete facts. On April 26, on the 500th anniversary of Adriano Olivetti´s death, a conference was held, titled, "The Idea of Community in Business Behavior". The meeting was proposed by the Vita Eudaimonica Associations and it´s president, Alberto Peretti, scholar of Olivettian thought. Olivetti was an illuminated entrepreneur, and his key concepts were illustrated during the meeting. Prof. Peretti highlighted how the businesses at the Polo, depending on the Economy of Communion, are leading the economy of the future - one that is capable of founding itself on the idea of life worth being lived, where work is not just a chance for economic growth but also a motor of a more worthy world. There is need to introduce new energy onto the market,which is possible by grafting in the logic of gift, of gratuitousness. "Doing business means be moved by what one does," said Peretti to the audience at the meeting. "In small, with our businesses, we can change the world." Authenticity is asked of both the entrepreneur and his business idea, in which spiritual strength must also have a place. The economist Luigino Bruni highlighted the attitude of making a community on which to base the Economy of Communion, as well as the importance that should be given to a few values held fundamental by the business: love for beauty, vocation to be an entrepreneur, the capacity to formulate a business plan where the search of happiness plays a very important role, and feeling part of a greater community that can change one´s own city. Arcobaleno bookstore, a business located in the Polo, shared its story, underlining the importance of even placing needs in communion during moments of crisis. For the entrepreneur, who is almost an "artist" who builds his business everyday, certain that it is always possible to "give", it is enough to open his heart. At the end of the meeting, Luigino Bruni presented Isaline Bourgenot Dutru´s book on François Neveux, "Utopia in Action", edited by Cittá Nuova. With extraordinary inventive ability, having thirty-five patents in his name, François paid attention to interpersonal relationships in his working life from the beginning. Knowing about the Economy of Communion project, he moved to Brazil where he put his talent, professional experience and money at disposal to develop it. Through the accounts of those who knew him, the author traces his professional and human journey. A Brazilian economics student, Carlos Henrique Iazzetti Santos, spoke of François, whom he had know and taken his inspiration. The Polo was also alive with hundreds of visitors for the 40th May 1st Youth Gathering. "Youth at Work, building a dream" was the title of the day, which begun by journeying through possible "ways" towards peace. There were 8 thematic areas: from peace to arms reduction, the environment, sports, culture and economy. Workshops, debates, concerts, labs - the youth were working towards a shared present and future. Those involved in the preparation of the economic forum chose the Polo as a natural venue for their presentation. It would be an efficient witness of a pro-person economy. There were two days, May 1 and 2, in which the youth took part in the program with active interest. The heart of the program was the presentations by experts: Alberto Frassineti traced a framework of the current crisis, identifying the deep causes of this cultural vacuum, able to be filled by recuperating the relational dimension in people´s personal and community lives, bringing economy back to its authentic, civil nature. Eva Gullo, president of the EdiC Spa, presented the Polo Lionello, highlighting the charismatic nature and the extreme timeliness of the EoC project. The experiences of a few youth place in relief the importance that the new generations have in the project. The crowning part of the program was a visit to the businesses, with a chance to talk with entrepreneurs. Their counter-current experiences from daily life left a mark. On 28-year-old woman wrote, "I´m leaving happy about something I felt at the Polo Lionello: the need to love my neighbor and doing everything out love of in the work environment. I could have already known this...that "something more" which I understood was that you do everything out of love and with love, yes, to change things, but especially because it is in loving that we find fulfillment." The Polo Lionello meet with its shareholders from Liguria, Piemonte and Valle d’Aosta. In Bra, in the beautiful Mariapolis Center at Villa Moffa, more than 80 shareholders were present. It was a moment of awareness, deepening and exchange between some of the administrative council members and shareholders on the current situation of the Polo Lionello and its future projects. 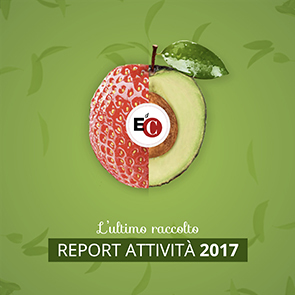 Among other things, shareholders were made aware of the renovated websites that are now operative, that of the Polo Lionello (www.pololionellobonfanti.it) which also contains a YellowPages service for EoC businesses, and that of the EdiC Spa (www.edicspa.it) with information on this society. In these sites, all the information on the formational and cultural activities and the conventions of the Polo are available. They were indicated to participants as useful instruments for networking among shareholders, entrepreneurs, etc. It was evident that shareholders desire that the EdiC Spa play a helping role to the development of new entrepreneurial activities and support for those that already exist at the Polo. Some shareholders took advantage of the capital campaign to buy more shares and contribute to the development of the Polo. From September 16-19, the 2010 Expo will take place in the Polo. It is a laboratory of dialogue and creativity, a chance to meet. EoC entrepreneurs from all of Italy will be present for their meeting and will be the protagonists of the Expo. The program is woven with forums, round tables, and presentations of products and services. Participants will be able to compare notes, gain awareness, exchange with entrepreneurs, managers, economic, social and cultural workers on an economy at the service of the person and society. On the backdrop of the small town of Loppiano, and sharing the same project, the Expo will include cultural moments in collaboration with Sophia University Institute and Cittá Nuova magazine (which will also be holding its annual meeting). One of the most significant moments in the program will be on September 18, with a convention focused on "A City, A Culture, An Economy of Communion."